I wanted to do something a little different and interactive at our engagement party. 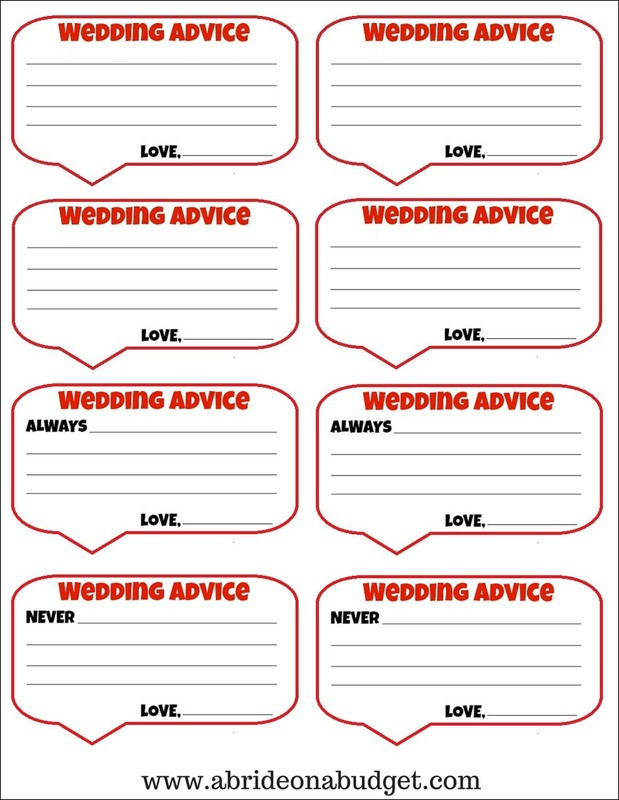 So I decided to make wedding advice cards. Where I got the idea is a mystery, but they were such a hit! 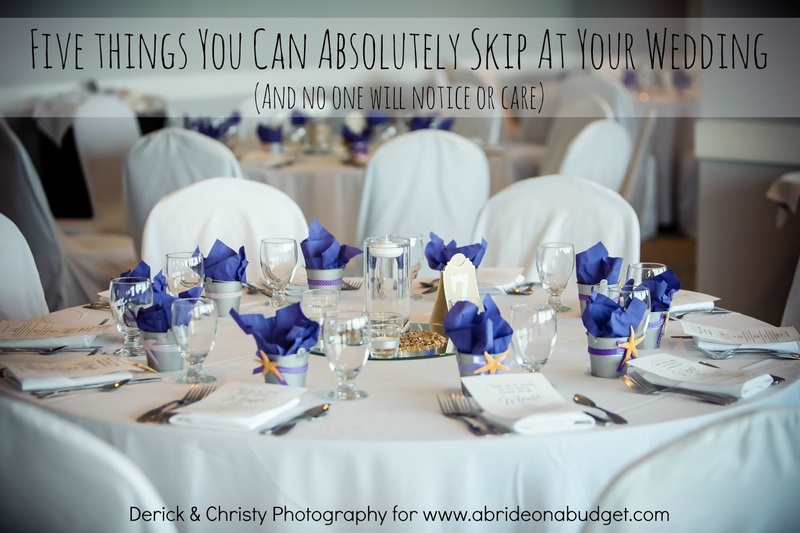 We printed them out, set them at the welcome table, and had a glittered box with the words "Wedding Advice" written on it. We had a few pens out and our guests wrote on them on their way in (or out) of our party. I made three different cards. One was blank, one started with "NEVER" and one started with "ALWAYS." 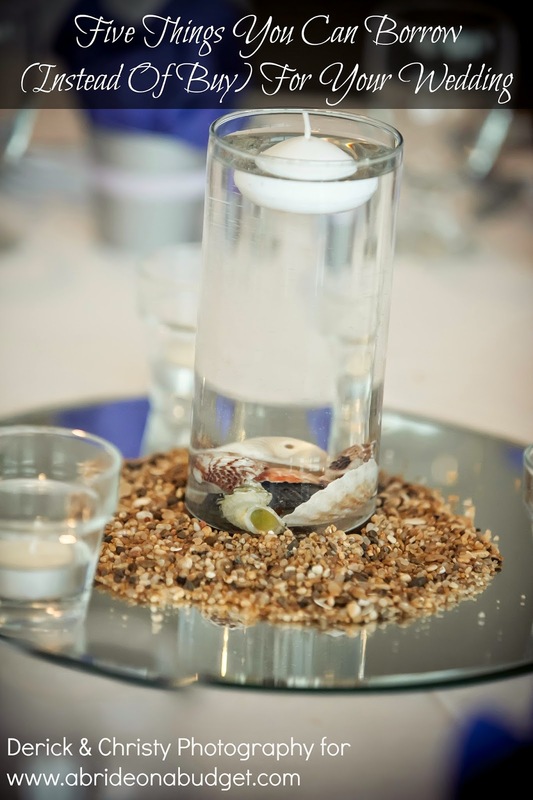 Our guests were able to choose one of the three. Some of the answers we received were funny, like, "NEVER is Lisa wrong." And others were serious, like taking time to enjoy our wedding day. 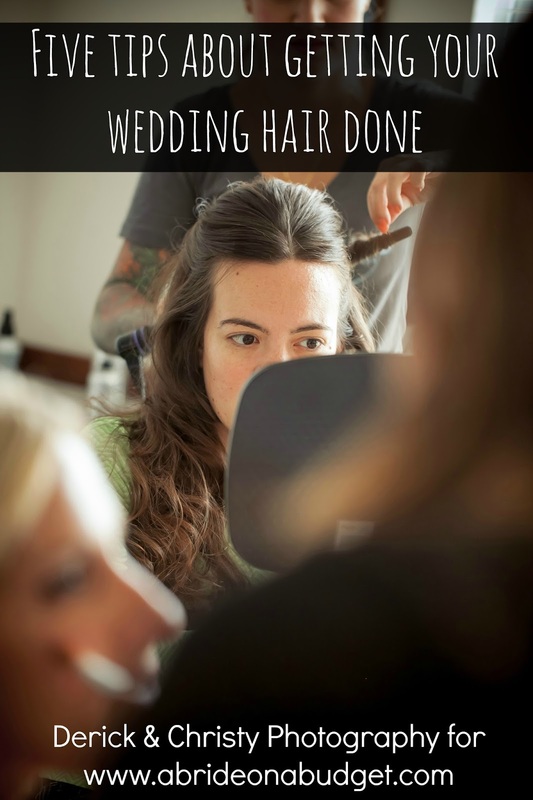 It was really a fun way for us to have a "guest book" at our engagement party, but also to just get some tips for the wedding planning process. I had originally planned on laminating them and displaying them at our wedding, but I decided to just keep them for ourselves. If you love the idea, you're in luck. I actually redesigned these cards so that they will fit any engagement party. The ones I made for us had our names on them and the date of our party. I removed those for you. All you need to do is right click the image above and save it to your computer. 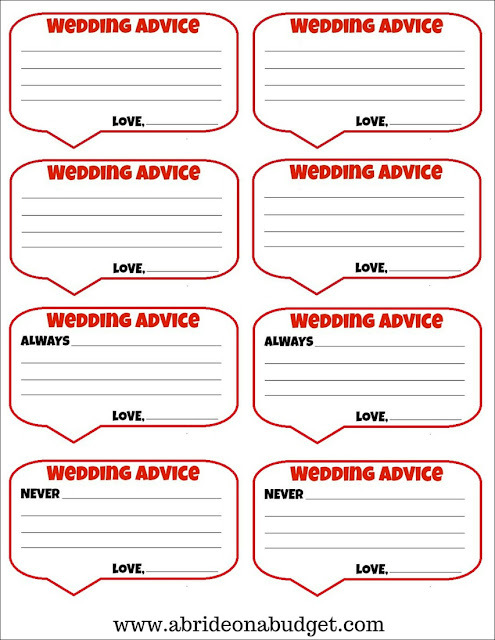 The wedding advice cards are formatted for an 8.5x11 sheet of paper, which is standard home printer size. As long as you have ink in your printer, you can print these at home. Then, just cut them with a paper trimmer and bring them to your engagement party. 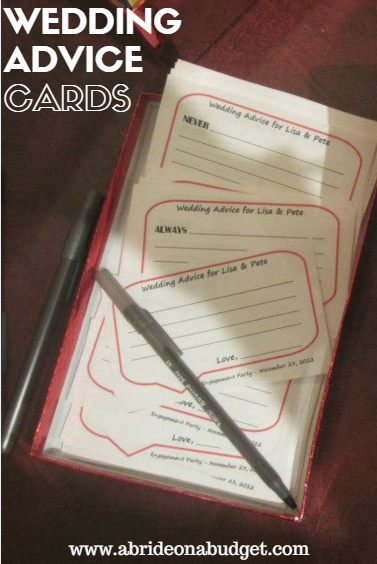 BRIDAL BABBLE: What advice would you write on these wedding advice cards?